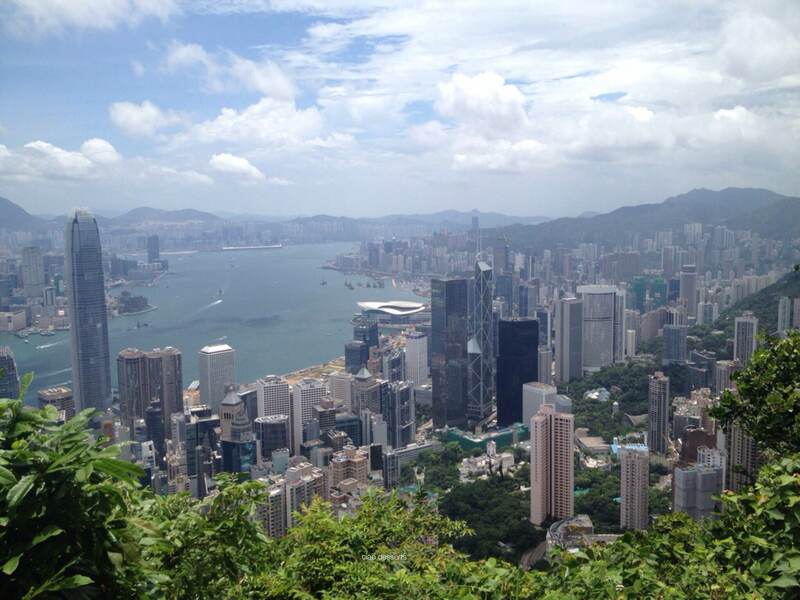 Despite having visited Hong Kong three times, I have never visited the Peak. This time, I also almost crossed it off my itinerary, because the weather was positively sweltering. But, my friend Carol said, “oh you have to go to the Peak!” Since Carol is my go-to expert for so many things in life, I decided to take her advice and make my my way to the Peak. Usually people take the Peak tram to the top, and the tram stop is just a short walk from MTR Central Station. When I got to the station at around 10 am on a Thursday morning, the line was already a bit long. I thought a combination of my three greatest fears: crowds and heights and confined spaces would be too much drama before lunch time, so I opted to take a quiet taxi ride up to the top. It was a little bit expensive, but I decided it was worth the 15 minutes of tranquility. After doing a bit of research beforehand, I knew I wanted to skip the very touristy parts of the Peak experience (which is to view the Peak from the Peak Tower) and take a walk around Lugard Road, which is also known as the Peak Circle Walk. According to several websites, this walk circles around to the highest point on Hong Kong island, so the view is spectacular. Lugard Road was built in 1913-14, and is named after Hong Kong’s 14th Governor, Sir Fredrick Lugard. (If you want to see the arduous building process of this road, please see here! ) It’s a semi-circular road, that begins and ends at the Peak Tram Station. About 10 minutes or so into the walk, spectacular views begin to emerge. 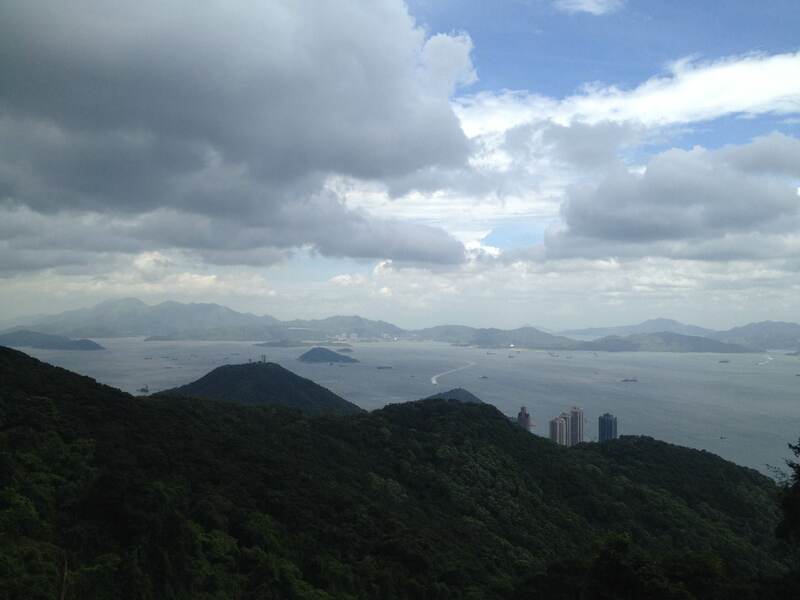 You can also see the ominous cloud cover, hinting at the imminent arrival of Typhoon Rammasun. 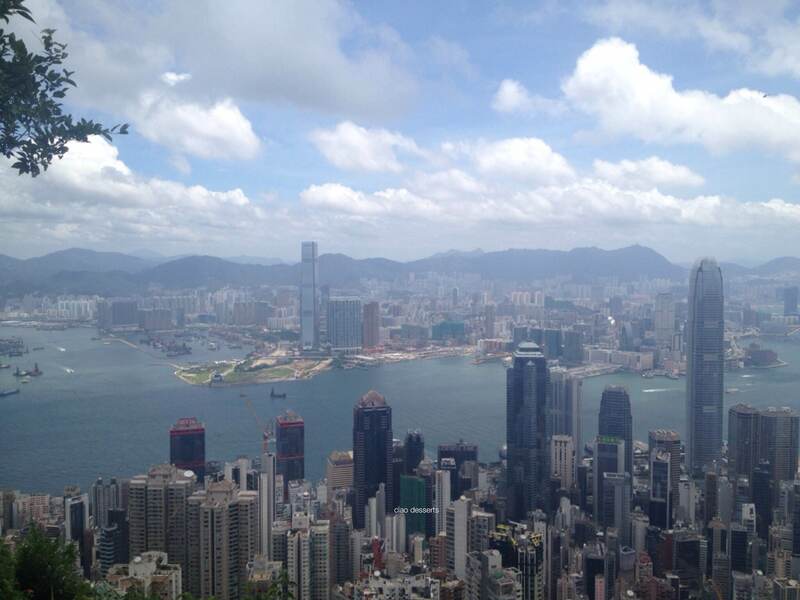 Along the way, the way, there are truly magnificent views of the frenetic density of Hong Kong. You also experience a respite from the sorching temperatures, the pulsating crowds and traffic.